Charleston is full of bold cuisine and new takes on southern and American dining. It seems like there is always a new hot spot popping up somewhere. But what if you want a little dash of history with your dinner? We’ve found some restaurants that are housed in notable historic buildings that are perfect for the history buff with a refined palate. While not all of the restaurants have been around for ages, their buildings have. 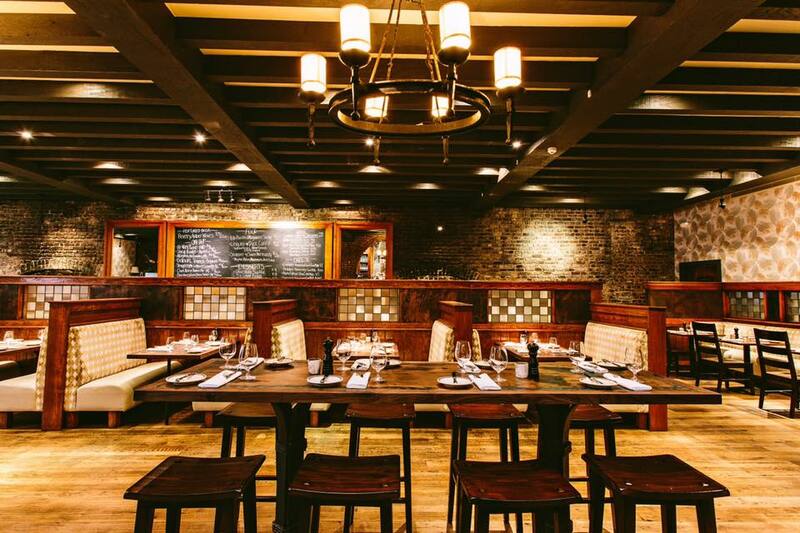 So, let’s explore some historic places to eat in Charleston. Set in the heart of the historic district, Circa 1886 is housed in the original carriage house for the Wentworth Mansion, which was built in 1886 (hence the name). 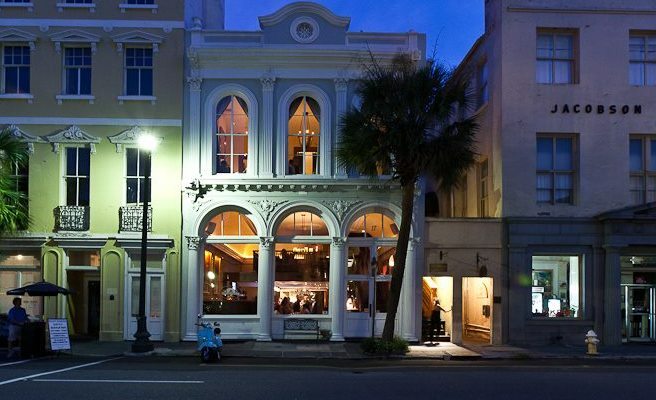 This makes it one of the best historic places to eat in Charleston. The building retains some of its historic architectural elements like stable doors and vintage windows. The menu is full of fresh takes on southern classics and Chef Marc Collins is inspired by cuisines around the world. Established in a four-story Georgian house on East Bay Street by Edward McCrady in 1778, McCrady’s Tavern is one of the best historic places to eat in Charleston. Through the years the building has been used as a paper company, warehouse, tavern, and coffee house. In 1982 it was restored and McCrady’s Restaurant opened. The current tavern is a bit younger than the restaurant but still retains historic architecture and is on the National Register of Historic Places and Landmarks. While the steakhouse is not historic, the building it’s housed in is. The building started out as a bank in 1848. Now that historic building has three floors with five dining areas. It’s also one of our favorite date night spots. 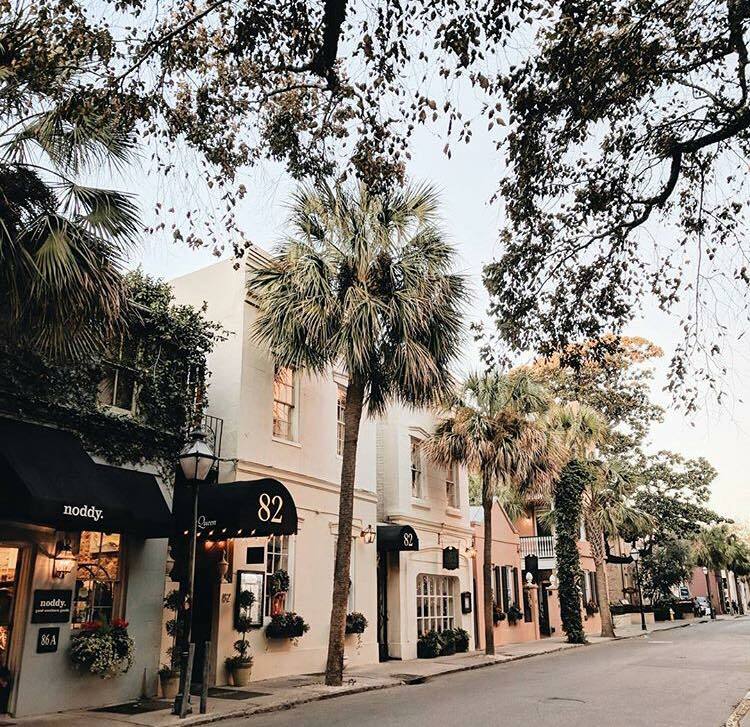 Chef Bacon is a Lowcountry native and sources locally and regionally from sustainable fishermen and farmers in addition to the dry aged Certified Angus beef on the menu. You’ll also find house-made pasta and a vegetarian plate. 82 Queen was once a part of the original walled city of Charles Towne in 1688. It’s where an immigrant built a home, guesthouse, and slave quarters. The three buildings have been used for many purposes over the years but in 1982 82 Queen the restaurant was opened. Look forward to Lowcountry specialties that use local seafood and produce as well as prime cuts of beef.